The three-story Grand Canyon Plaza Hotel offers a resort-style refuge just one mile from the south entrance to Grand Canyon National Park. 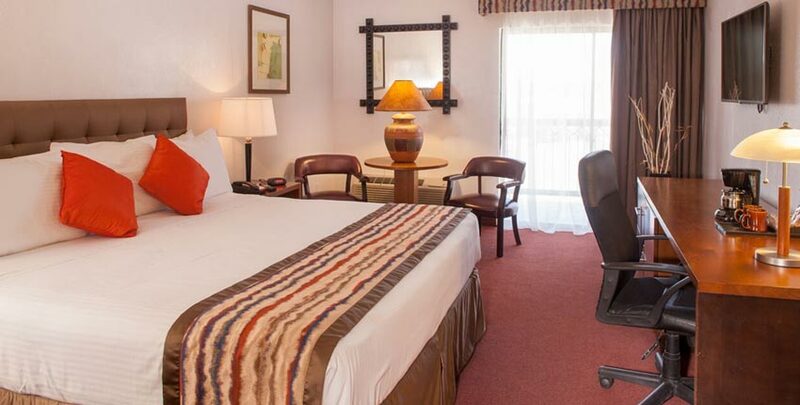 Our spacious one-bedroom suites are perfect for families or groups seeking extra space, while our standard deluxe guestrooms comfortably accommodate up to four guests. 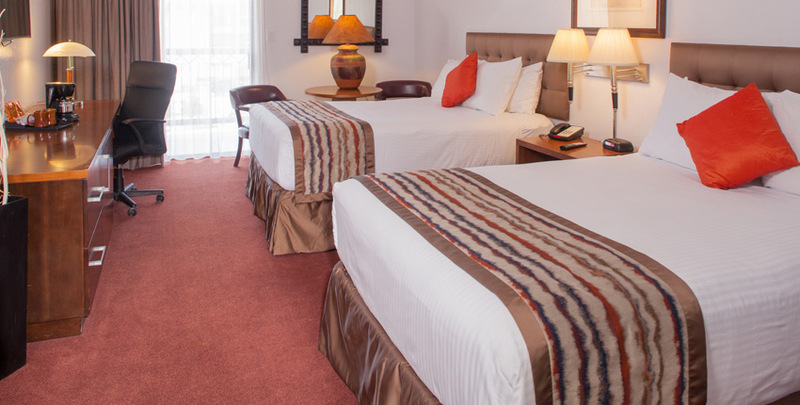 Each of our accommodations features free Wi-Fi, in-room coffee, premium cable channels, and climate-control systems to ensure comfort year-round. Accommodations are stylishly appointed in an elegant palette of muted mauves, turquoise, and desert beiges that highlight the Southwestern décor and artwork. Rest easy in this deluxe room with two double beds, a spacious bathroom with two vanity areas, work desk, and a new LCD TV with premium cable channels for catching the latest shows and movies. Some rooms with balcony or patio. Partial turndown service is complimentary. Unwind in this deluxe room with one king bed, a spacious bathroom with two vanity areas, work desk, and a new LCD TV with premium cable channels for catching the latest shows and movies. Some rooms with balcony or patio where you can enjoy the calm of the night sky. Partial turndown service is complimentary. 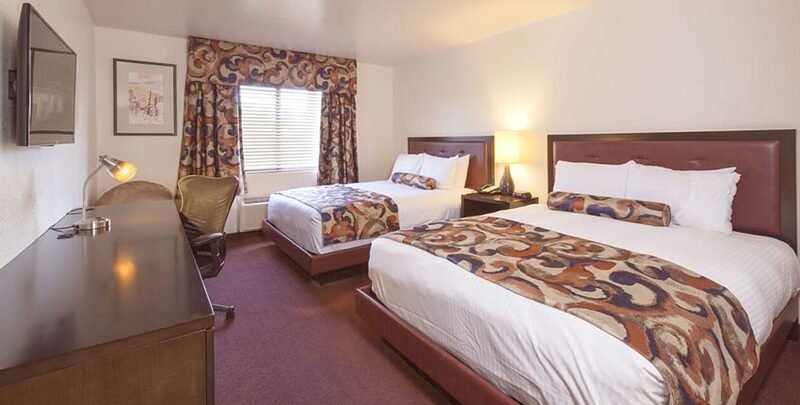 Enjoy a little extra room to unwind with the family. 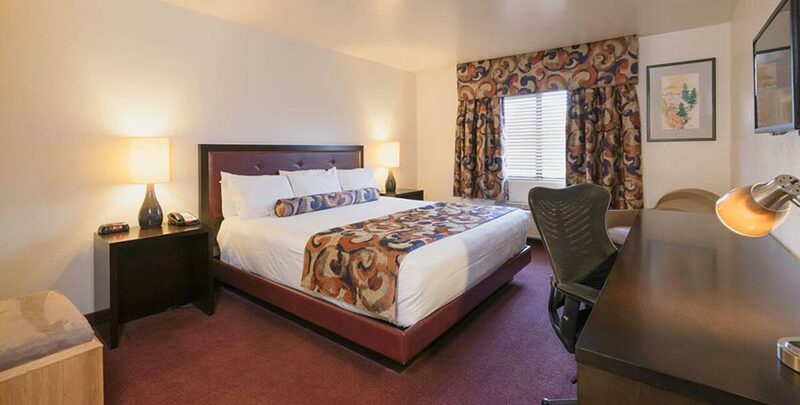 Our queen suites are outfitted with two queen beds and each features a microwave and refrigerator, two vanity areas, and a spacious sitting area furnished with a comfortable sofa, oversized chair, coffee table, desk, and two LCD TV's with premium cable channels. Suitable for a couples or family with young children, our King Suite offers spacious space with a little privacy. It is outfitted with 1 king bed in the bedroom plus a queen sofa bed in a separate living room. Each of the King Suite features a microwave and refrigerator, two vanity areas, an oversized chair, coffee table, desk, and two LCD TV's with premium cable channels. Any changes or cancellations must be made by 4 pm, the day prior to arrival in order to avoid a one night cancellation charge.